The mission of the Windham Chamber of Commerce is to support the growth and partnership of Windham businesses and to promote civic activities of the greater Mountaintop area. We are dedicated to ensuring a thriving business market in our region. 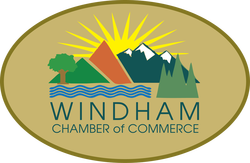 THE PURPOSE OF THE Windham Chamber of Commerce is to promote a positive environment for the business owners who are members. This is accomplished by creating a better understanding of the needs of the business owner, cooperating with local governments and civic groups to provide opportunities, promoting programs to strengthen and expand the economic potential of our businesses, and promoting programs of a civic, social, and cultural nature which are designed to increase the functional and aesthetic values of the community.